A vegan producer has said it is selling its products in the meat aisle in a bid to 'focus on usage, not origin'. 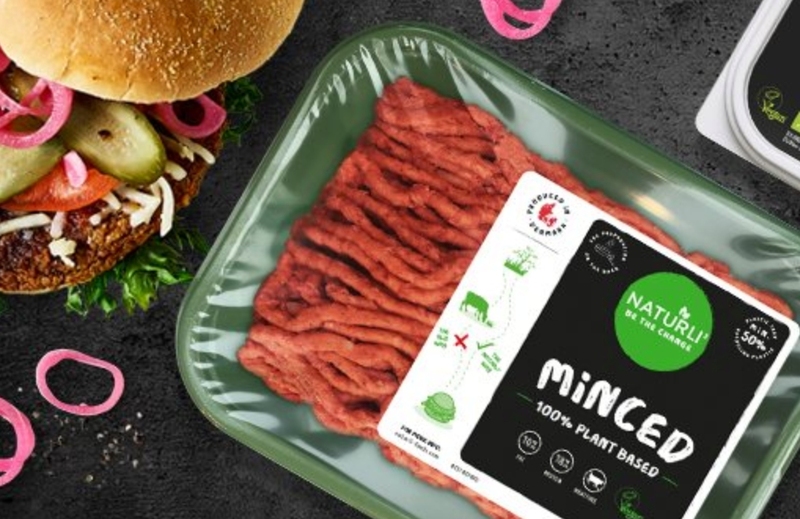 Naturli' - which launched its mince and burgers in the meat aisle of Sainsbury's last month - has faced some negative customer feedback for where it has positioned its products. Some vegans and vegetarians have said they are put off from buying the products, as they are faced to confront animal meat - they very thing they have chosen to avoid. The retailers are following the example of Beyond Meat in the US, which insisted its Beyond Burger was displayed in the meat case, to put it in front of omnivores - leading to the burger outselling meat in some stores. Taking to social media to address these questions, a Naturli' Foods spokesperson said: "We've put our Naturli' Minced and Patties in the cold counters with the other meats to focus on the usage, not the origin. "We believe that every step in the right direction counts, and that is why we take pride in helping the vegan, the flexitarian or just your everyday omnivore making plant-based choices in the food aisle. "Our goal is to deliver 100 percent plant-based foods that tastes amazing and by placing the plant-based Minced and Patties next to the meats, we believe we're making it easier for people to try a plant-based meal." The Vegan Society's Dominika Piasecka also sees the move as positive, increasing the chances of meat-eaters giving the vegan products a go. She said: "It’s refreshing to see Sainsbury's recognising that vegan food is just, well, regular food, and giving it a spot in their stores right where the customer would expect to find it. "We want others to try vegan food and fall in love with how delicious, nutritious and cruelty-free it is. "We can't do that if we’re constantly given exclusive 'vegan only' supermarket aisles that non-vegans are afraid to wander into."